Dr. Greenblatt was awarded a dual PhD in Microbiology and Immunology from the State University of New York, Downstate Medical Center, Brooklyn N.Y. Her studies involved understanding how the immune system stops infection. Downstate Medical Center, founded before the Brooklyn Bridge was built, was revolutionary in taking medicine out of the lecture halls and bringing it directly to the patient. It is still one of the nation’s leading urban medical centers and has a Nobel Prize Winner in Medicine as a member of its faculty. 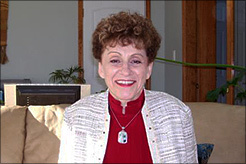 Dr. Hellen has lectured at major medical centers both in the States and overseas. She is one of the few U.S.-based scientists to receive extended funding from the World Health Organization (WHO) on diseases of developing nations. She has also been funded by the National Institute of Health (NIH) to study immune responses to infectious organisms. Dr. Hellen has conducted research in the area of viruses, bacteria, and parasites, that cause disease in humans and companion animals. She has held research and management positions such as Chief Science Officer, Director, President, and Vice President for a variety of biomedically-oriented companies. Her research teams have been responsible for developing diagnostic tests for detecting HIV and other infections in mothers and newborns. Many of these assays are used both domestically and world-wide to initiate or change the course of treatment. Part of her all-consuming passion was uncovering applications for certain natural ingredients, for example polyvalent hyperimmune egg (http://www.HyperimmuneEgg.org). The body utilizes the bioactive compounds in this ingredient to help it regulate its inflammatory responses. Controlling inflammation leads to immune homeostasis, immune balance, and dramatically changes one’s life. Dr. Greenblatt believes that the art and science of self-healing must be individualized. Although similar immune responses are common to most humans and other animals, each individual deserves and needs an unique approach to balance natural and Western approaches.